Learning how to generate leads for your online business can make you a more effective marketer. However, you can’t just throw together a lead-gen strategy and hope it works. Instead, you need lead-generation strategies that focus on each individual part of the marketing funnel. The funnel has evolved a bit over the years. Marketing plays a greater role than sales — at least in early days. However, you also have to target your marketing efforts to the bottom of the funnel. Nurture and engage your qualified leads to keep them interested. Lead generation in digital marketing is the process of attracting and engaging leads. You want prospective customers to find your content, follow you on social media, sign up for your email list, and pay attention to what others say about you. However, you don’t want to attract just anyone. In fact, that’s more dangerous than helpful. A qualified lead is worth far more to you than an unqualified lead. You want to attract prospects who not only can buy your product or service, but have a genuine need or desire for it. Why Do You Need to Get More Leads for your Business? In some ways, figuring out how to get more leads for your online business is a numbers game — at least in the beginning. The more leads you have, the more information you collect based on their behavior. Of course, you need a reliable tool to track what those prospective leads do when they arrive at your website. As you collect information about user behavior, you can put together a solid marketing funnel and begin targeting content and offers to your ideal customer. 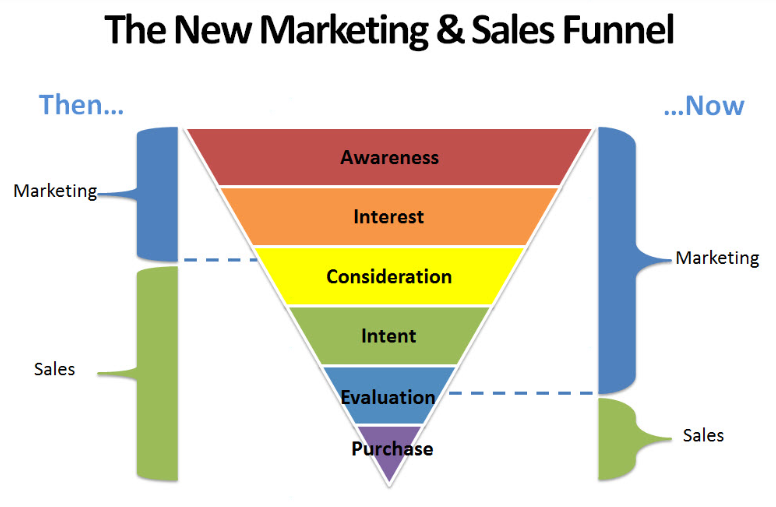 As you saw in the marketing funnel graphic above, marketing has taken over many tasks that used to belong to sales. However, both marketing and sales need to work together. It’s possible to convert a lead at the bottom of the funnel into a customer without ever involving your sales team. The only way to do that, though, is to attract more leads and analyze their behavior. The more you know about user psychology, the easier it becomes to present the right offer at the right time. Learning how to generate leads takes time and research. That’s because every business is different. One of your entrepreneur pals might tell you that the only way to generate leads lies in email marketing. That might be true for his business. Testing and analyzing data is the only way to determine whether a lead-generation strategy will work for your audience. However, you first need to know the best practices for generating leads across all industries and audiences. You’ve probably heard this before, but let’s dissect the concept for a second. Lean Labs posted a case study about its lead-generation strategies with client Atlantech Online, Inc. According to Lean Labs, the company was able to increase qualified lead generation by 355 percent. How did they do it? Lean Labs took a multi-variable approach to lead generation. One way the company helps Atlantech Online increase leads was by offering a lead magnet via exit popup. It also used dynamic CTAs with the same lead magnet. When you offer something of value for free, you initiate reciprocity. It’s a simple psychological principle that relies on people’s desire to return favors. Everyone’s conversion funnel looks different. There’s a reason for that. Imagine you want to buy a new pair of shoes. Maybe you’re looking for running shoes to wear for marathon training. You’ll likely read a few articles about the best shoes for runners, conduct some comparison shopping, and buy the pair that seems like the best fit — pun intended. That might involve two or three touch points with the brand you choose. Now, imagine that your home needs a new air conditioning system. Running shoes might cost $100, but an HVAC system could set you back $20,000. That’s a huge difference. You’ll conduct more research, investigate potential companies, read online reviews, and even contact the company in which you’re interested. In other words: far more touch points. Use a tool like Crazy Egg combined with Google Analytics to better understand how customers touch base with your company before they finally click the “buy” button. Based on that knowledge, you can optimize each touch point for the buyer’s particular position in the conversion funnel. If you’ve been reading The Daily Egg for long, you know we don’t shy away from complex, unique topics. 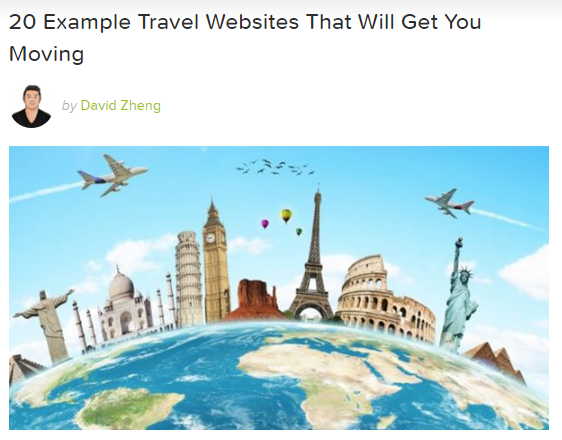 Take, for example, David Zheng’s recent enlightening article about travel websites. It’s thorough, illuminating, and thought-provoking. That’s the type of content you want to publish. Dig into your customer support email account. What questions pop up most often? Answer those on your blog. Don’t be afraid of long-tail keywords that target only a small portion of your total audience. These are the articles that will convince prospects to convert into leads. 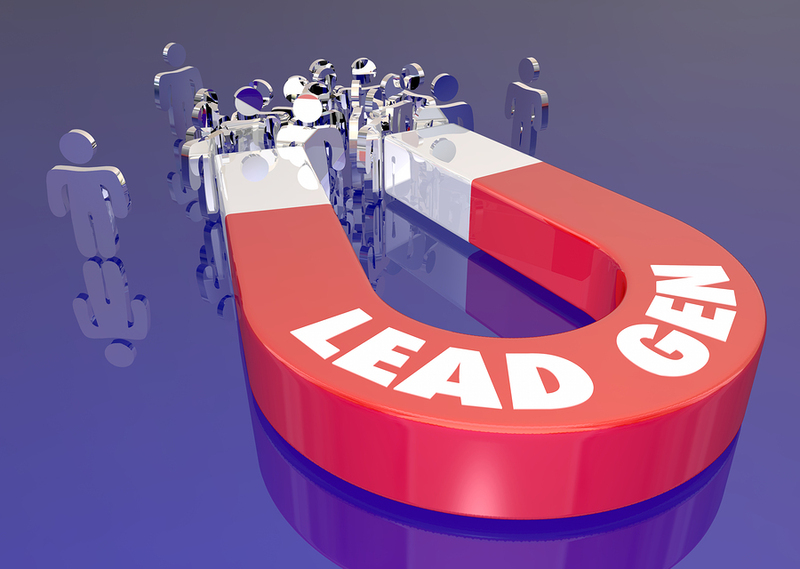 A lead magnet does just what the name implies: It attracts leads to your business and convinces them to convert. In other words, they offer significant value for a small price. The price isn’t monetary. You don’t want your prospects to buy your lead magnet. Instead, you want them to give up information about themselves, such as their email addresses. Any old lead magnet won’t work. For instance, when you hear the phrase “lead magnet,” you might think of an ebook or whitepaper. Those aren’t always the best choices. 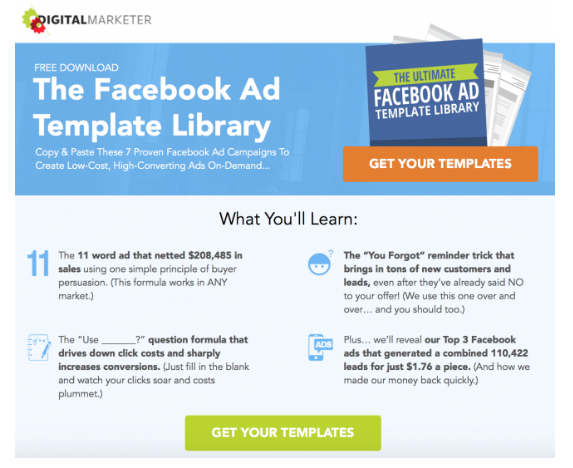 Digital Marketer managed to generate nearly 36,000 leads with a template lead magnet. Try polling your audience. Give them the choice between four or five different free downloads. Go with the lead magnet that gets the most votes, then compare it against second best. A/B tests help refine your process and learn how to generate leads. Start A/B testing your ideas today! Every page of your website deserves attention, whether it features an opt-in form or a blog post. However, start with your landing pages and your home page. Heatmap, confetti maps, scroll maps, and overlay maps can help you understand user behavior. What elements draw your visitors’ eyes? Which do they ignore? Each page should have a desired action. You’ll write a compelling CTA for the final button, but everything else on the page, from images to the headline to body copy, needs to lead up to the CTA. In other words, prep your prospect to convert. Generating leads requires you to anticipate what your reader wants and give them a way to get it. Do you want your visitor to sign up for your next online course? Present a problem (lack of knowledge), a solution (learning tools), and a reason to sign up ($20 off your first course). Set up your visitor to say “yes” every time. 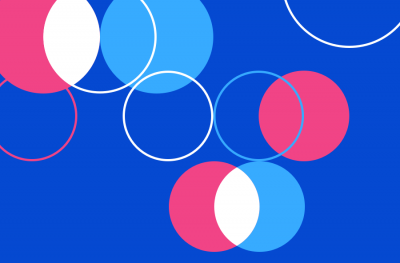 An A/B test can be as easy as testing one color against another. 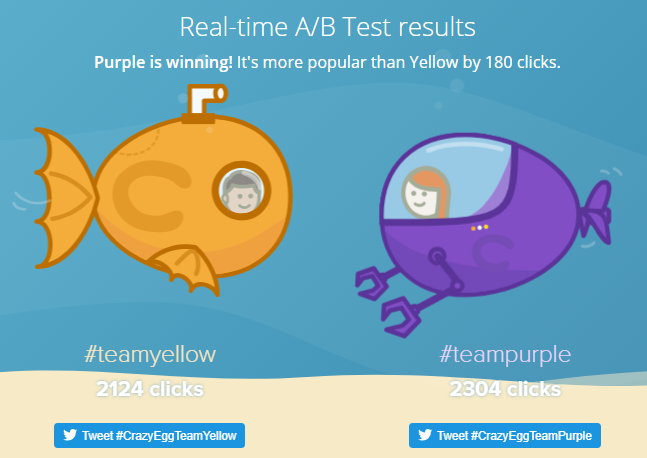 You could test the color of your headline, CTA text, CTA button, or graphics on the page. But don’t stop there. Multiple A/B tests allow you to fine-tune every aspect of the page, from the font size to the verbs you use in your headline. Some business owners feel overwhelmed by A/B testing. Don’t. You can use a tool like Crazy Egg to make the process easier and less stressful. Did you know that nearly half of businesses use digital marketing automation? If you haven’t jumped on this particular bandwagon, you’re missing out on prime opportunities. Automating tasks like A/B testing, email marketing, data analysis, and user behavior testing can significantly reduce the man hours required to do those tasks manually. You’re better off spending your time on things that can’t be automated. Investigate several email marketing software providers before choosing the ones that works best for you. 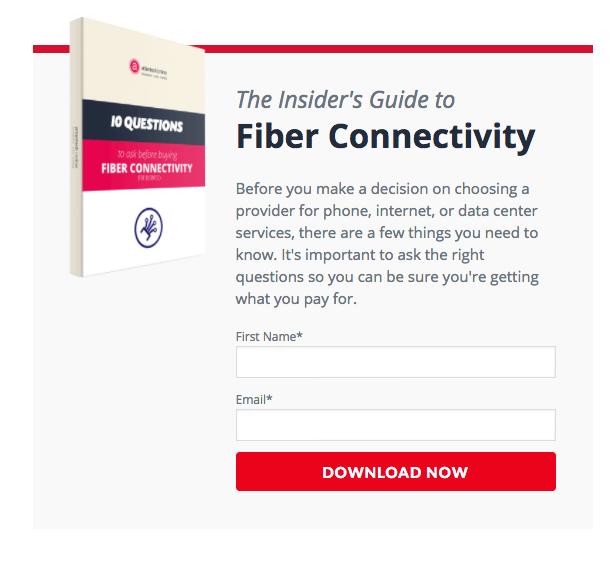 Consider your current list size, pricing options, and other factors. Once you choose, set up email marketing sequences. Next, go a step further and create distinct sequences for leads in different parts of the conversion funnel. Let’s look at the top of the funnel, for instance. These leads aren’t anywhere close to buying. 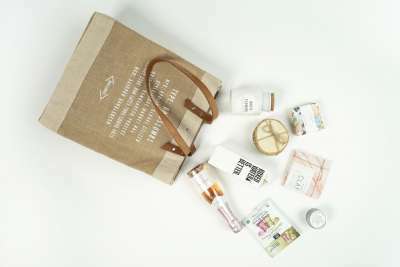 They might not even know they have a need for your product or service yet. At this stage, you want your emails to introduce your brand and provide as much free guidance as possible. Educate your leads to nurture them through the funnel. But what if you’re targeting leads at the bottom of the funnel? These leads already have the information — they just need an excuse to buy. Load up your email sequences with invitations to webinars, coupon codes, and other incentives to buy. Brands and consumers can be friends. Really! It’s true. Think about your favorite brands. What draws you to them? Why do you follow them on social media? How do you interact with them? You might greet your barista by name when you pick up your morning coffee or participate in fun runs with local businesses you support. In other words, you’re part of those companies’ communities. That’s exactly what you want from your own leads. Invite them to connect at every opportunity, whether you’re soliciting user-generated content, sharing funny videos on Twitter, or offering free videos on YouTube. Give them reasons to check your blog every time you publish a new post and to comment with their own experiences. Most importantly, respond to them. If you get an email, shoot off a reply. If you get a comment on Facebook, acknowledge it with an answer or even just an emoji. In other words, let your prospects know you value their contributions to your brand. Guest posting can become your most powerful source of leads. Of course, once you attract them to your website, you have to convince them to convert, but you need to get them there first. Related blogs in your industry might accept guest posts. Email the owners or authors and ask. Some might even have dedicated pages about guest posting guidelines. Create a series of pitches, then send them out. You can either write your own guest posts or outsource the work. Most blogs allow you to include at least one or two links to your website in your post. Some no-follow those links, but that doesn’t matter for lead generation. You want people to click. Lots of businesses get this wrong. They set up accounts on every social media channel available, then interact with their audiences once a week — if not less often. Try a different approach. Choose between one and three channels, set up accounts, and start posting meaty, interesting content. Link back to your blog posts, ask insightful questions, and reply to people in your industry or to people in your target audience. In other words, focus on interaction and engagement. It doesn’t matter if you post 100 times a day on Twitter. If nobody engages with those posts, you’ve wasted your time. 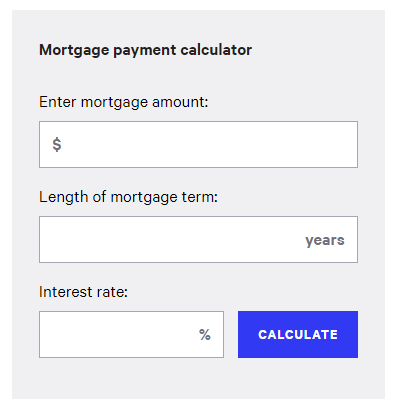 Bankrate, a hugely popular financial website, has created dozens of free calculators for its audience. These are simple tools, but they provide value to prospects. You can create a similar tool for your audience. It could be a template, a calculator, a analysis, or anything else you want. If you’re in fashion, for instance, you could create a sizing tool. Free tools bring in free traffic because everyone wants a shortcut. We’re all looking for things to make our days simpler and less stressful. And, it goes without saying, don’t forget to add a CTA and an offer to your free tool. Webinars have become almost as popular as any other lead generation tool. 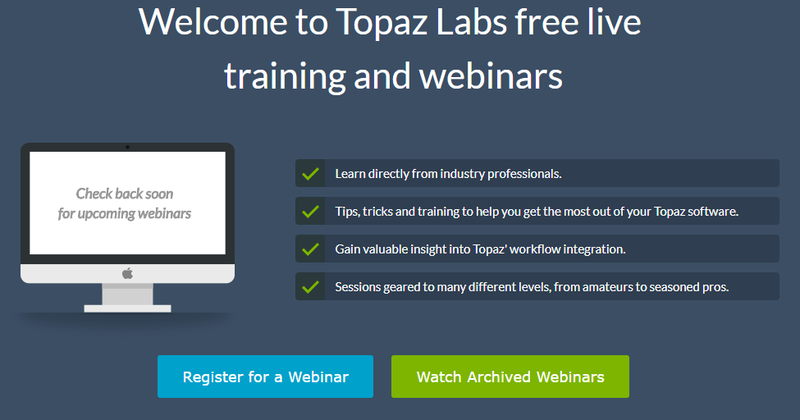 Topaz Labs, a company that creates software for photographers, hosts tons of free webinars. Attendees get a free coupon code at the end of the event. First, they operate on the reciprocity angle mentioned above. If you spend an hour or longer teaching people how to do something for free, they’ll feel obligated to reciprocate. Second, you give your attendees incentive. A coupon code or discount can convince people to go ahead and buy from you rather than wait and miss out on the good deal. Finally, they’re reusable. After your webinar, post it on your blog or use it as a lead magnet. Continue garnering traffic and interest from prospects who might become leads. Lead generation comes with a few challenges you’ll have to overcome. This is especially true in overcrowded niches. You need the right offer and strategy. If you use an e-book lead magnet for an audience that hates to read, you’re out of luck. Additionally, you need enough traffic to generate significant numbers of leads. If only three people visit your website every week, you won’t get many takers. Lastly, you need a way to build on success. Once you have the ideal offer and decent traffic, how do you optimize your pages for even more leads? You need software to help you analyze and better understand your audience. Crazy Egg offers an abundance of tools to help you generate more leads from existing and potential traffic. Once enabled, they give you a leg-up over the competition. Take scroll maps, for instance. They tell you when most people stop scrolling on a given page. In most cases, that’s the ideal placement for a CTA. If people aren’t reading or scrolling beyond a certain point, the copy and graphics that come farther down the page aren’t helping you score leads. Heatmaps also prove invaluable for lead gen. You might have all the right elements on a landing page, but perhaps they’re not in ideal positions. Swapping a hero image with a CTA could increase your conversion rate by tens or even hundreds of percentage points. Check out Crazy Egg’s tools to learn more about how you can optimize lead generation for your own business. Once you learn how to generate leads online, you have nowhere to go but up. It just takes some planning and analysis. Lead generation refers to the process of attracting potential leads to your website and convincing them to convert on an offer. The more leads you have, the better your chances of making sales. There are numerous ways to generate leads. Make sure to offer significant value, optimize every page of your site, and create unique content. You also need to figure out the best lead magnet for your audience. Conduct A/B testing, investigate digital marketing automation, and communicate directly with your prospects through email marketing. It’s all about developing healthy relationships with prospects. Interact on social media, provide a free tool, or host a webinar. Sure, there are challenges. But you can find success with the right tools at your disposal. What’s your favorite lead generation strategy?